So, you just have a one day Prague visit. What would you do? It’s a common question, which goes through many traveler’s minds, especially when they’re hurtling through Europe, wanting to see as much as they can in the very limited time they have. Anyway, let’s suppose you really have just that one day in Prague. Here are some suggestions we would make. One of the most breathtaking moments in Prague is sunrise. Streets are still empty so it’s just you and gorgeous stunning architecture…take some good photos (morning light is somehow enchanting) and get yourself ready to jump on a bike or join a walking tour. Walking around gorgeous buildings could be nice, but getting to know their real stories is something absolutely different. Honestly, if you have such a short time, hiring a tour guide is the best investment you can make, since they know their way around and therefore maximize the time you have. After your morning tour you’ll probably end up pretty hungry and thirsty. 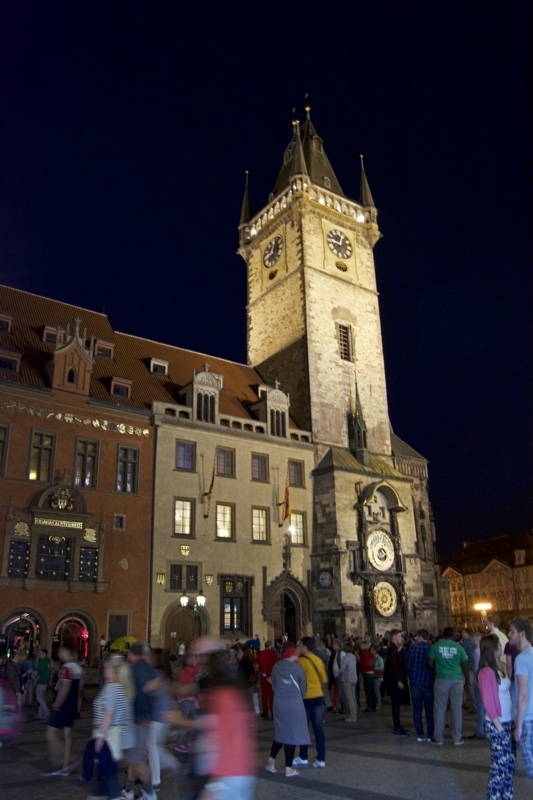 Ask your guide or someone who knows the city well about some good place to visit to enjoy authentic Czech cuisine. Prague is full of different small microbreweries so we think you’ll enjoy your trip far more with a chilled glass of some local microbrew. After such a long day, there’s nothing better than to cool down, grab a bottle of cold beer, lie on the ground and watch the sun setting behind Prague Castle. 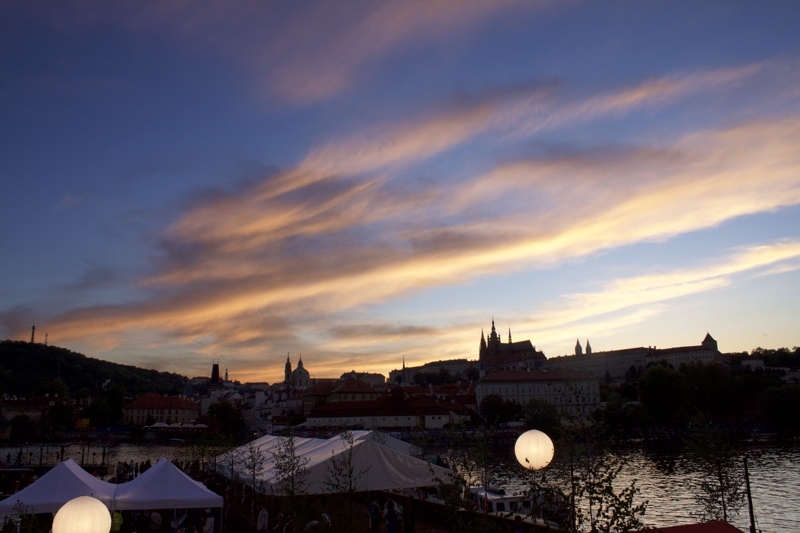 Our tip is to visit a park called Riegerovy Sady, which is known for having the best sunset view of Prague. You can easily reach that park by metro or tram, just few minutes from the city center. If someone would force us to point out only three top sights in Prague, we would say Old Town Square, Charles Bridge and Prague Castle. Those are sight’s you just can’t miss. So make sure you’ll fill your afternoon by visiting those places. They are not far, if you draw a line on a map, you can reach the Castle from the Old Town Square in 30 minutes of easy walking. If you think you’re pretty much done after sunset, you’re wrong. During the night, Prague’s most famous sights are beautifully lit up so you can spend hours just cruising through the city and admiring the beauty of the city at night. 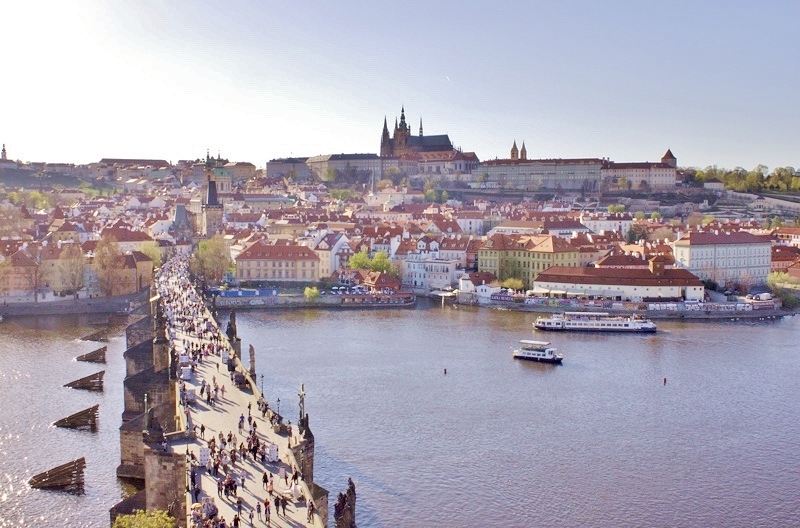 We highly recommend to take a walk on the riverside near Charles Bridge. 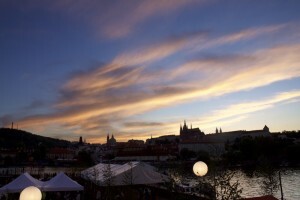 From which you will have unforgettable views of Prague Castle and Lesser Side at night. If you’re into photography, make sure to have your camera fully charged, because these are scenes you’ll never forget.